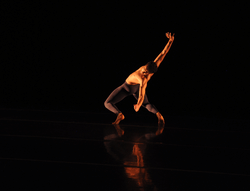 On the hunt for energetic music that will manage to hold the interest of your pre-ballet kids? 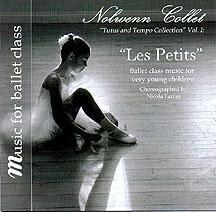 Teacher Nicola Farcas teamed up with pianist Nolwenn Collet to create 45 different melodies tailored to the youngest dancers, in terms of style, tempo and track length. Rather than offering pieces to be used with technical ballet exercises, like pliés or tendus, Collet’s tracks invoke imagery to appeal to this age group—and Farcas has provided sample exercises to accompany each song, complete with counts. “Butterflies and Angry Tigers,” for example, calls for fluttering your “wings” as the piano trills arpeggios and then adopting the yoga cat pose like a tiger when the tempo abruptly changes. “Picking Coconuts!” asks students to reach or jump for coconuts in the trees when higher notes are played on the piano; when keys in the lower register are played, students must pick up the coconuts that have fallen to the ground. Other song topics include the four seasons, eight different moods, fairy tales and clapping games—there’s plenty to engage and inspire your preschool-age dancers.